Mountain Biking around the Kendal Area - Local Articles - Mountain Bike Cumbria - beautiful trails and information from throughout the Lake District and beyond! There is a loop from Otter Bank (nr Dry Lane), over Whinfell, up the Borrowdale Valley, cross over the A6 and follow it down to Garnett Bridge and back to Otter Bank. The route Whinfell, Borrowdale and Bretherdale by Andy Slattery, takes most of this area in. Also worth checking out is Bretherdale, which is further up the A6. And if you are up for a small epic the Sadgill trail will treat you to just that! Turn off at Garnett Bridge on the A6 and go on there! It's highly recommended. The largest of the trails to the east is around the Lambrigg Fells of which the Lambrigg Fell route by Andy Slattery will give you a good idea of the trails around. It is a short XC circuit with some excellent DH. A good evening ride from Kendal with quality views. There are plenty of small bridleways that you can link together to form a nice loop, which includes parts of the trail mentioned above. From mountainbikepics.co.uk (which is related to Bog Trotters) is a route around this area, which I (the editor) have ridden and enjoyed. I would watch out at the A6 / A591 Junction / Road but the rest of the trail is interesting and takes in many of the local bridleways to the south of Kendal. If you're ever in Kendal and want somewhere to ride, then all you need to do is head up the Underbarrow road and turn off to go over Gamblesmire Lane (watch out for pesky 4x4's) and then the trails around here are mainly single track and track roads, you can even go around in circles if you like it too much! Further in the West direction, you can combine Gamblesmire Line with more bridleways and roads passing Crook and heading over to Bowness-on-Windermere. The Evans store is the largest cycle store in Kendal and supports a wide range of bike, components and accessories. It is their only store nearest to the Lake District. Askew's Cycles - Tel: 01539 728057 - The Old Brewery, Wildman Street, Kendal, LA9 6EN. Take a look at our guide to Staveley! Be sure to check out Wheelbase superstore on your way! And if you are hungry go to Wilfs café and get a bite to eat of there amazing food! I suggest their veggie burgers with cheese, your taste buds will love it! Kendal Ski Club - Hosts the local artificial slope for ski and snowboard use. Lakeland Climbing Centre - Although best known for the world-class indoor climbing centre, Lakeland Climbing Centre also offer a range of courses to suit everyone, from beginners to experienced climbers. 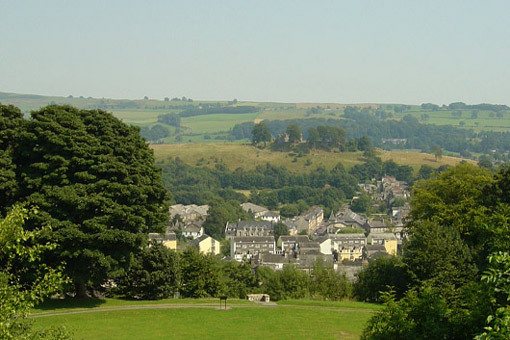 Kendal Mountaineering Club is in an active and friendly Kendal based club. We hold regular meets throughout the year locally and beyond. Lakes Leisure Kendal is one of the largest sports, arts and leisure facilities in South Cumbria, offering a range of activities for all ages. The Brewery Arts Centre is a modern arts venue, developed in 1971 from the buildings of a Brewery, first licensed in 1758, and whose character has been retained throughout a programme of refurbishment. Kendal Mountain Film Festival - Every autumn, Kendal hosts one of the most prestigious Mountain Festivals in the world. - an extravaganza of films, books, art and photography, debates, presentations, film making, entertainment, humour and drama. The YHA in Kendal is a Georgian town house centrally located in this gateway to the Lake District. You can buy a shot (alcohol/sprit) of Kendal Mint Cake from Burgundys Wine Bar! I (the editor) have tried it recently after finding it on the menu, pointed out via a friend, it's definitely liquid Kendal Mint Cake, but you should go and try it for yourself to find out what it is like! The Westmorland Gazette is published each Friday and is the local newspaper. This trail has been viewed 78145 times!